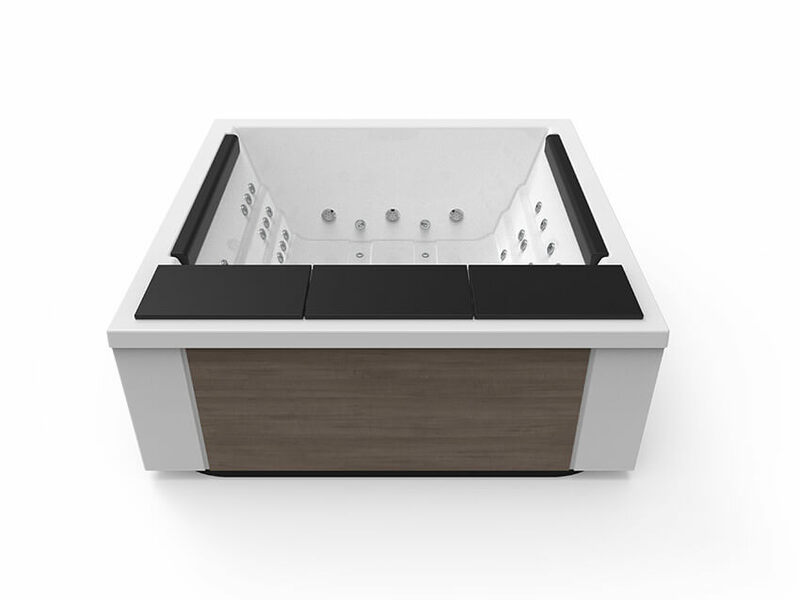 With the Quantum Spa less is more, according to celebrated architect Mies Van de Rohe. 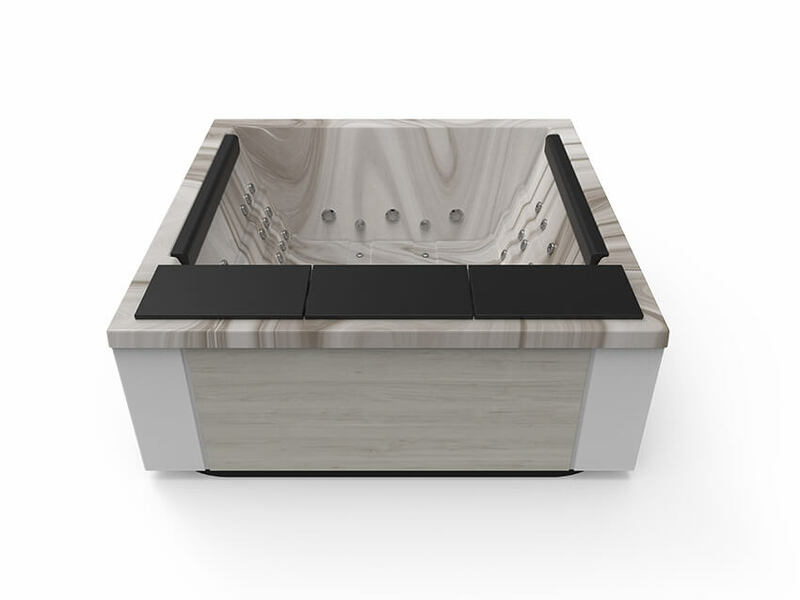 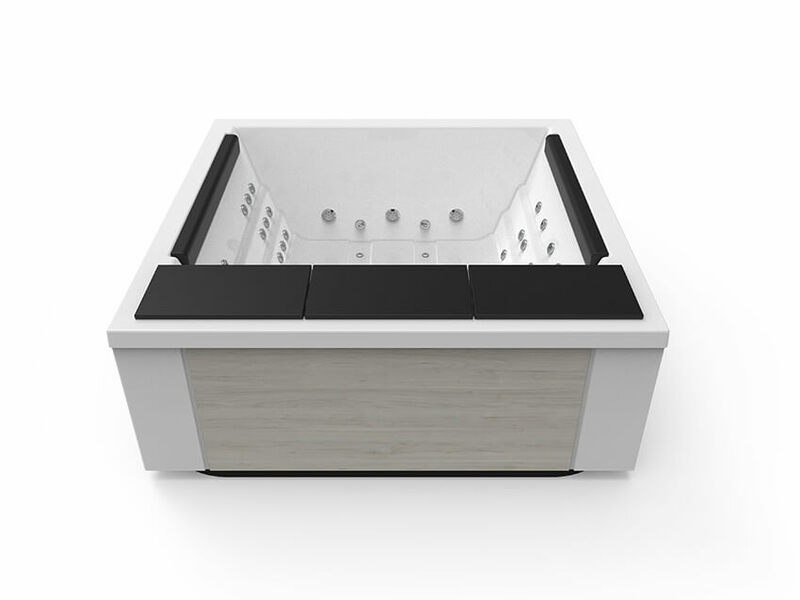 That minimalism is the aim of the Spa Quantum, a hydromassage tub without ornament or artifice, clearly designed for users who think actions speak louder than words. 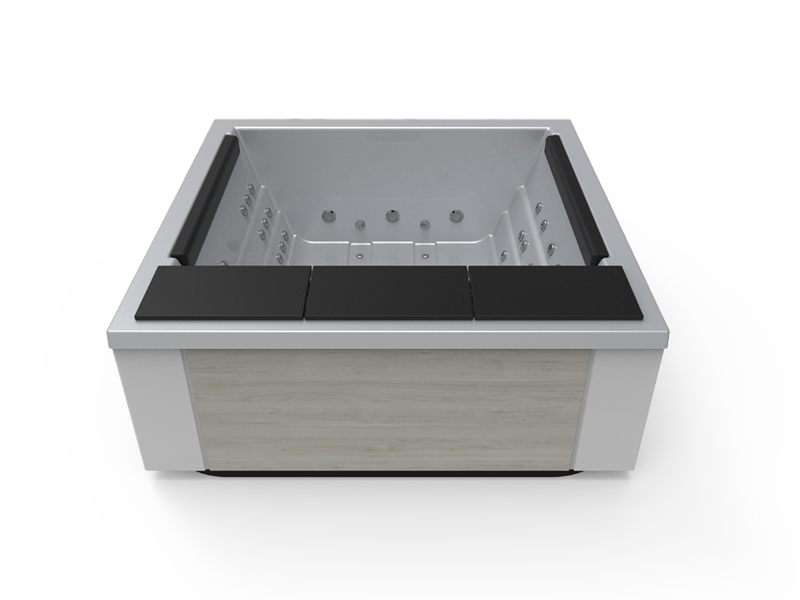 In this sense, the Spa Quantum is a hugely effective hydrotherapy machine for a multitude of different uses, from pure relaxation to relieving muscle stress after exercise. If you want to buy a hot tube that is both exclusive and minimalist, versatile and complete, with top features but at a reasonable price, the Spa Quantum is for you. 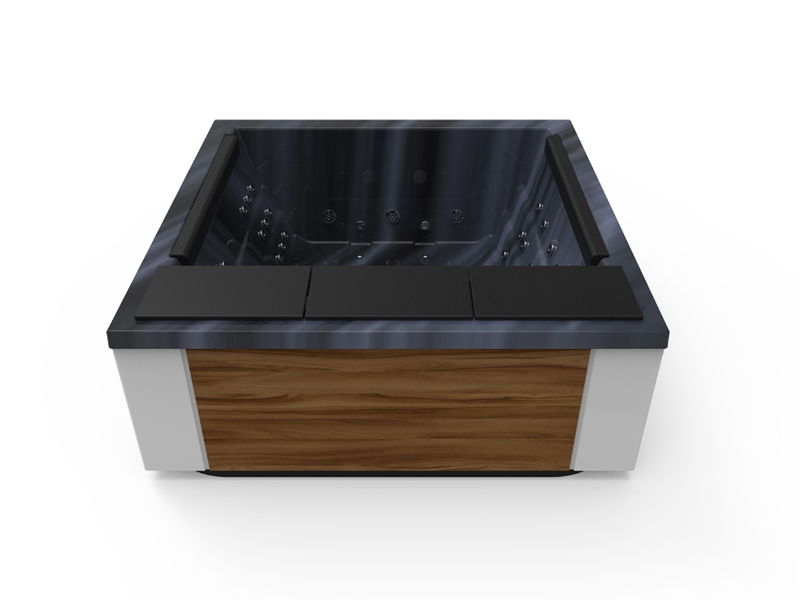 With 4 seats, each with different arrangements of jets (27) and hot air nozzles (12), the Quantum is a fully equipped hot tub with great features for domestic use. Like all the hot tubs in the Exclusive range, it includes enveloping light and sound: the Colour Sense system with 5 multicoloured LED spotlights for a complete chromotherapy experience, the elegant look of the cabinet’s exterior lighting (Pure Line Lighting), and its Surround Bluetooth Audio to play music with cinema sound. 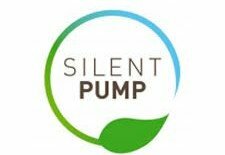 Meanwhile, the independent and silent filtration of the Silent Pump means you can get massages with absolutely crystal-clear water, thanks to the invaluable Ultraviolet Treatment, which provides total disinfection with ultraviolet light. 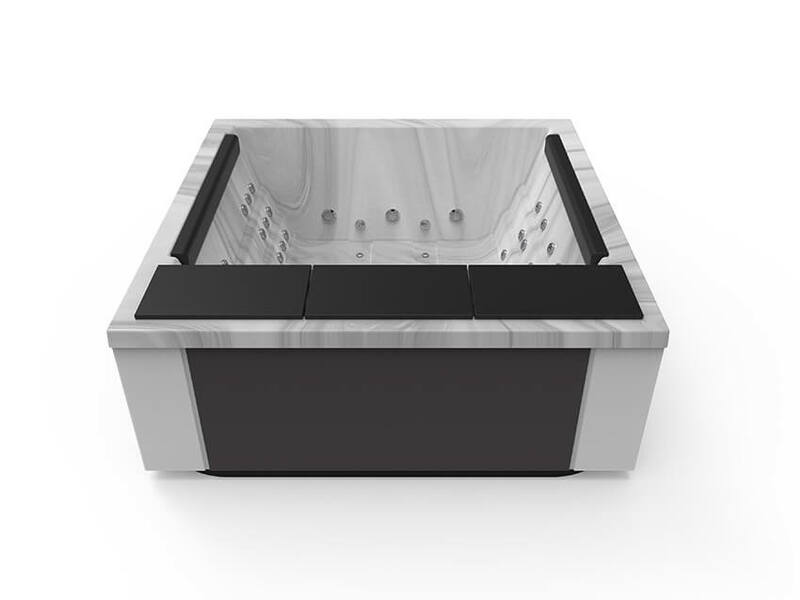 You will bid farewell to red eyes and the smell of chlorine, which is reduced by 80%. 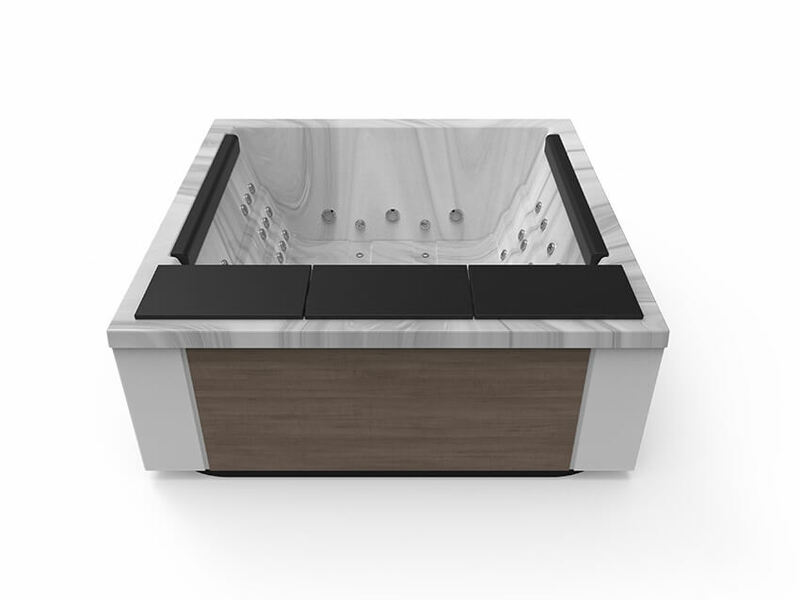 The Spa Quantum is efficient in terms of therapy, filtration, and energy consumption. It is an EcoSpa insulated with an ABS base to prevent heat from leaking out, but it can also be supplemented with the Nordic Insulation System with total double insulation on the sides to save up to 80% in energy and maintain the interior heat even outdoors and at extreme temperatures of -15ºC. 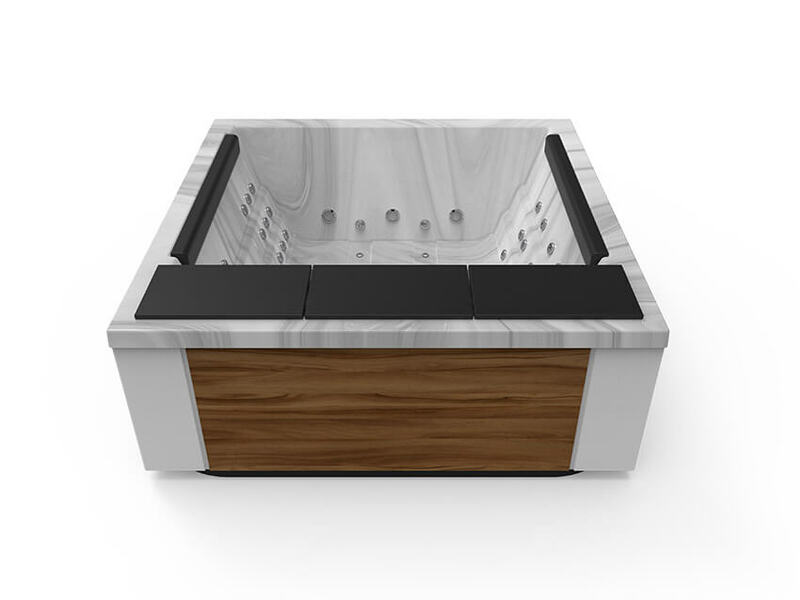 Sometimes freedom of movement is much more important than having a fully ergonomic hot tub. 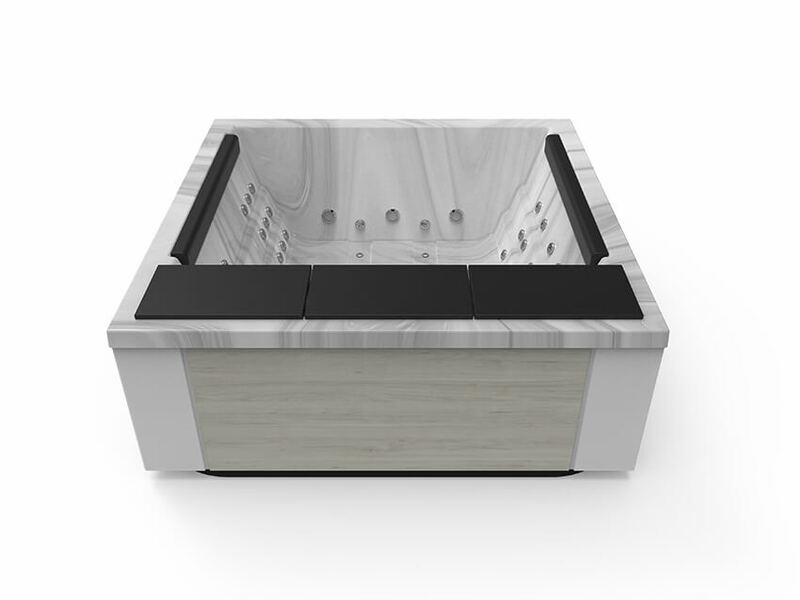 The Spa Quantum is designed for flexible hydrotherapy and quick transitions, without marked limits on the seats, to provide a spacious interior with no physical restrictions. It is perfect for users who prefer to move freely around the interior and want quicker changes in their massage circuit. 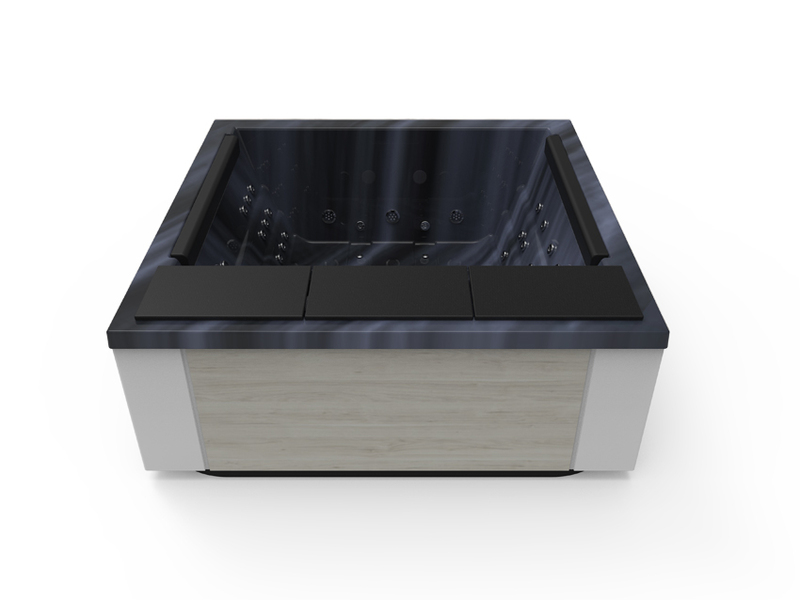 The Spa Quantum also gives you freedom of choice: it can be installed inside or outside your house (in the garden, on the terrace, near the swimming pool) because its versatile finishes (with its elegant white curve) adapt to any setting. And if that were not enough, it can also be purchased without a cabinet and built into any structure. 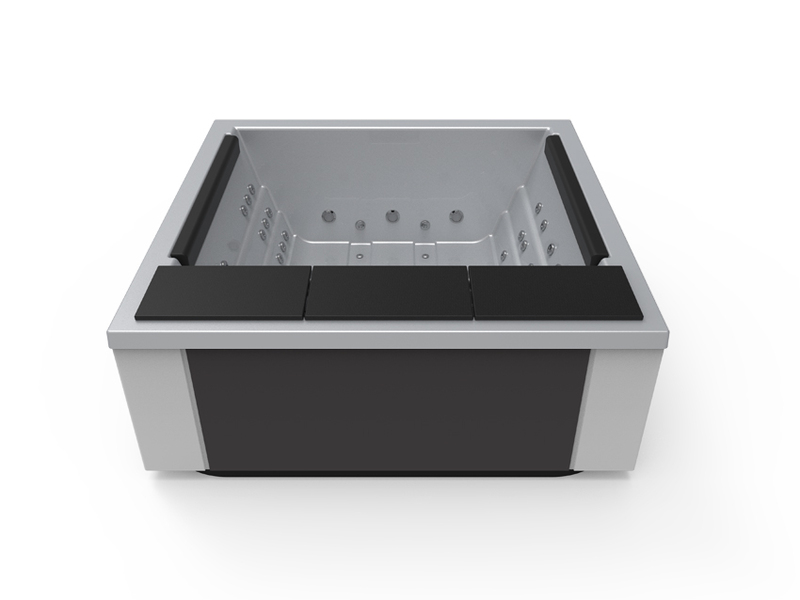 Its anti-corrosive metal frame and full insulation enable it to be installed anywhere, ensuring proper operation and high durability.